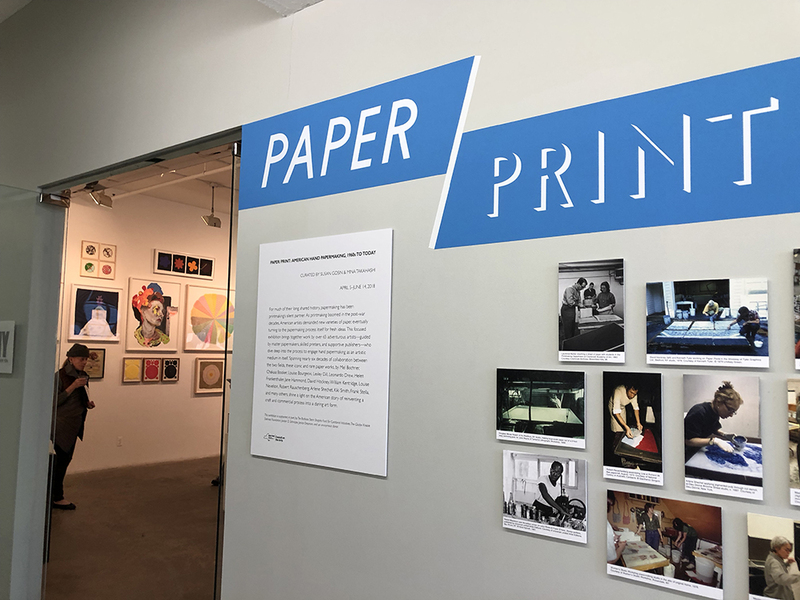 PCNY members are invited to a curator-led exhibition tour at the International Print Center New York (ICPNY) of their newly-opened exhibition, Paper/Print: American Hand Papermaking, 1960s to Today on Thursday, May 3rd at 5:00 PM. If you wish to attend, please send an email to Kimberly Henrikson at kabpsu@yahoo.com. There is space for 50 attendees, so be sure to reach out as soon as you can to reserve a space. Our group will be joined by Susan Gosin, co-curator of the show. This focused exhibition is the first to trace the American hand-papermaking revolution as an outgrowth of the printmaking renaissance. It brings together the best, along with some of the rarest and lesser known examples, of two-dimensional works, artist books, and cast-paper multiples to spotlight the closely intertwined American stories of printmaking and papermaking in the contemporary period. Spanning more than fifty years, the exhibition will examine the transformation of paper from its traditional role as a substrate for prints to an active partner—and stand-alone medium—in the creation of editions and unique works by such groundbreaking artists of the 20th and 21st century as Mel Bochner, Lynda Benglis, Chakaia Booker, Lesley Dill, Leonardo Drew, David Hockney, Louise Nevelson, Robert Rauschenberg, and Richard Tuttle, to name just a few. IPCNY is located at 508 West 26th Street, #5A, between 10th and 11th Avenues. For those of you traveling on the subway, take the C or E to 23rd street. If you plan to arrive by bus, take the M23 to 23rd St and 10th Avenue.